Sometimes old speeches help shine light on current issues. From twenty years ago, here are some words for today’s Public Diplomacy. 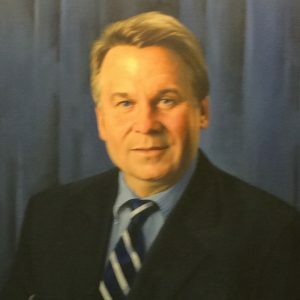 2015 portrait of Rep. Chris Smith, in the conference room of the House Committee on Veterans Affairs. 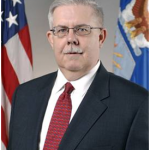 On October 4, 1999, a few days after the U.S. Information Agency became part of the Department of State, Representative Christopher H. Smith of New Jersey entered remarks on Public Diplomacy in the Congressional Record. So quickly had USIA’s front office and its Congressional relations shop closed that his tribute to USIA, “Milestone of U.S. Foreign Relations and Diplomacy,” was never communicated to embassies and consulates. His remarks concluded with a discussion of guiding principles for U.S. Public Diplomacy. Almost twenty years later, Public Diplomacy has been reshaped by the war on terrorism, by the internet revolution, and by the new disinformation. We might now want to update and expand Representative Smith’s remarks, but the principles he expressed surely remain relevant.
. . . we should mark well some principles that should endure as these programs and people move into the Department of State. The first is to affirm that American foreign policy needs public diplomacy more than ever. The world has been forever changed by the communications revolution and by the democratic revolution. The first of those revolutions now allows broad access to information about foreign policy and how it affects people and societies. The second revolution engages citizens in the decisions made by their governments. What we might call traditional diplomacy — between professional diplomats, conducting business away from the public eye—thus gives way to a larger conversation between peoples. At one time public diplomacy may have been considered a complement, a support function perhaps, for traditional diplomacy. In the age of democracy and the age of the Internet, it increasingly moves to the center. The second principle is that the U.S. Government needs a dedicated public diplomacy arm. Occasionally one hears that in the age of CNN our nation has no need for diplomats. The commercial networks and wire services, however, cannot do the whole work of communicating American values. They play an important role—an indispensable role—in reporting the news and informing the public. But members of the Fourth Estate themselves admit that news and public affairs budgets are always tight. They recognize that broadcast news generalizes, simplifies, and dramatizes events in a direction that may be unhelpful to diplomacy. And there is the matter of editorial direction. The U.S. Government needs international information programs and activities — beyond the public affairs programs and activities already conducted by the Department of State, which are focused primarily on domestic audiences — so that the facts and the values that underlie the American system can be communicated fully, directly, and in context. 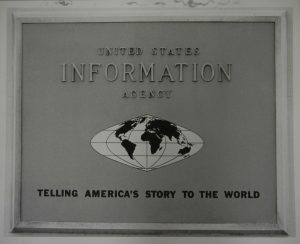 This plaque was mounted on the cornerstone of the headquarters of the U.S. Information Agency at its original address, 1776 Pennsylvania Ave. NW. Photo courtesy of National Archives and Records Administration. The third is that American public diplomacy must continue to be balanced. A vital principle of America’s public diplomacy, international broadcasting programs, and exchanges has been that they present American society—and the making of foreign policy—as a whole. It is true that public diplomacy programs sometimes report on and explain official government policies—but only as one component of a broader and more important mission. American public diplomacy has always included the discussion of responsible alternative viewpoints, the coverage of debates, and other information that makes clear that what is being communicated is the enduring American consensus, not just the policy du jour of a particular Administration or a particular Department. Without evenhanded coverage—such as is explicitly required by the charter of the Voice of America—bipartisan support in Congress for public diplomacy and exchanges would, I fear, be impaired. Finally, Mr. Speaker, America’s public diplomacy must continue to address the keystone issues of democracy, human rights, and the rule of law. Increasingly we realize that the fundamental remedies for what we once defined as development problems or as economic problems are to make governments democratic, responsive, honest, and respectful of human rights. Source: Congressional Record, 4 October 1999, E2101-2102.